DISC 2: Bonus Features. More than 4.5 hours of bonus materials, including interviews with Julian Bond, Maya Angelou, Ben Jealous, Rep. John Lewis, Eugene Robinson, and George Wolfe. Spotlight on Leo Frank, Chicago Riots of 1919, and Rosenwaldâ€™s legacy in Chicago. See list of bonus features. *Home use purchase cannot be used for classroom/ library use or for public performance. 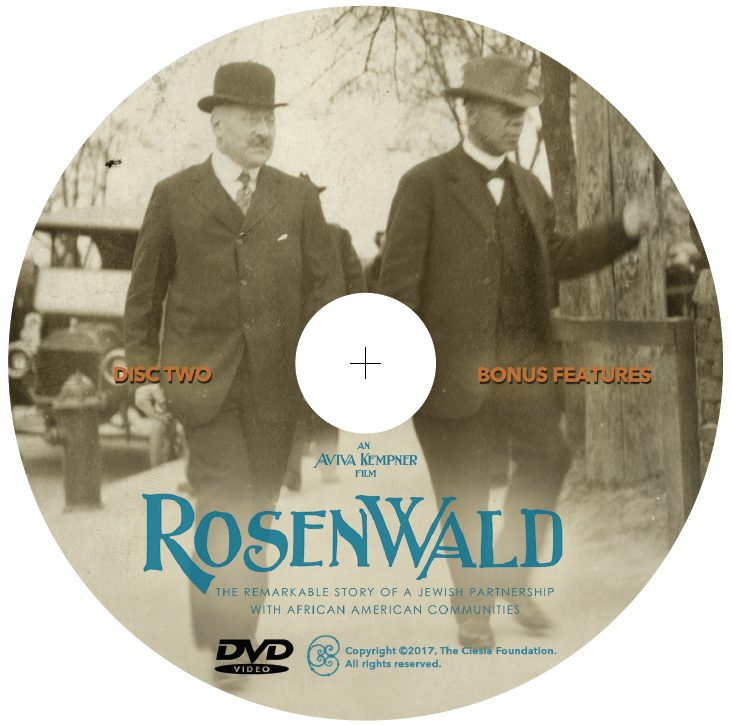 Rosenwald tells the incredible story of Julius Rosenwald, the son of an immigrant peddler who never finished high school, who rose to become the President of Sears. Influenced by the writings of the educator Booker T. Washington, this Jewish philanthropist joined forces with African American communities during the Jim Crow South to build 5,300 schools, providing 660,000 black children with access to education in the segregated American South. Inspired by the Jewish ideals of tzedakah (charity) and tikkun olam (repairing the world) and a deep concern over racial inequality in America, Julius Rosenwald used his wealth to become one of America's most effective philanthropists. Addressing needs brought about by the Great Migration, Rosenwald also funded the building of housing and YMCAs for African Americans. Recipients of his seminal Rosenwald Fund for African American artists and intellectuals include Marian Anderson, James Baldwin, Ralph Bunche, W.E.B. DuBois, Katherine Dunham, Ralph Ellison, John Hope Franklin, Zora Neale Hurston, Jacob Lawrence, Dr. Charles Drew, Augusta Savage, and Langston Hughes. 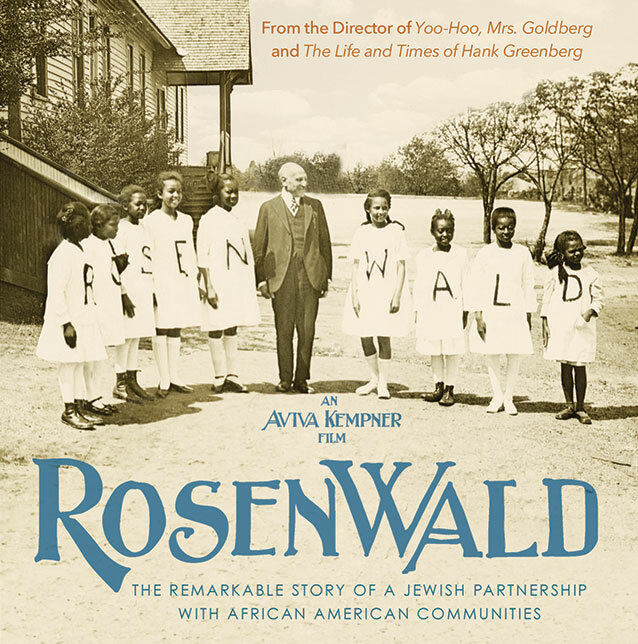 This important new documentary from award-winning filmmaker Aviva Kempner (The Life and Times of Hank Greenberg, Yoo-Hoo Mrs. Goldberg, Partisans of Vilna) reveals Rosenwald as a silent partner of the Pre-Civil Rights Movement. Interviewees include: Julian Bond, Congressman John Lewis, Maya Angelou, Rabbi David Saperstein, Benjamin Jealous, Aâ€™lelia Bundles, Eugene Robinson, George Wolfe, David Levering Lewis, Ossie Davis, David Levering Lewis, Rita Dove, David Driskell, Congressman Danny Davis, and Gordon Parks. 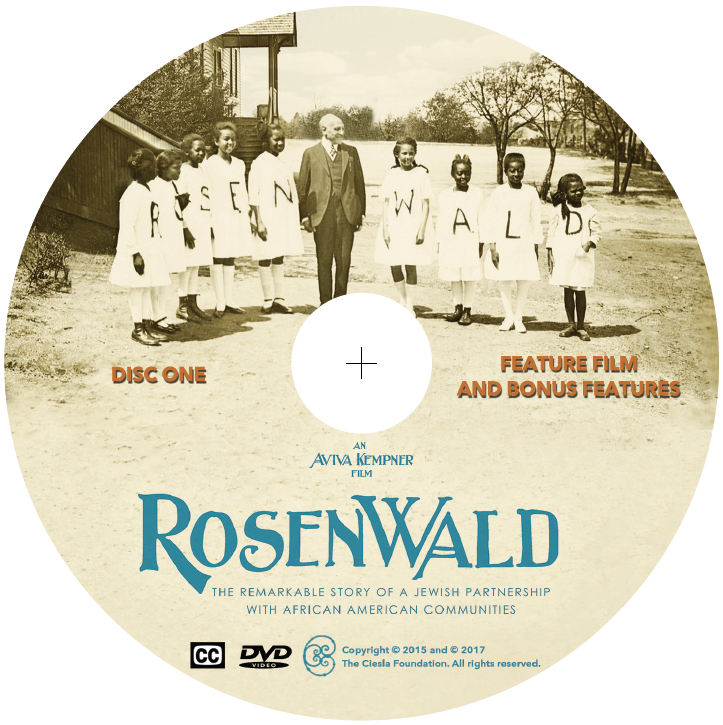 The Press Agrees â€“ Rosenwald is a revelation! 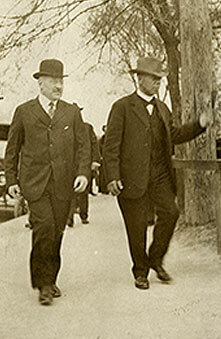 Jewish Forward by Alexandra Levine | Was Julius Rosenwald Our Greatest Philanthropist?